Often my students want to look at my lecture notes on their phones. Obviously no one wants to do that routinely, but it is often convenient if you do not have a paper copy to hand and you just want to look up an isolated fact. I have A4 size pdfs on the web, which one can just about read on a phone, but it is quite awkward. Does anyone have a good set of options that they have tested for generating phone-readable pdfs from LaTeX? A4's are indeed quite large for normal reading. 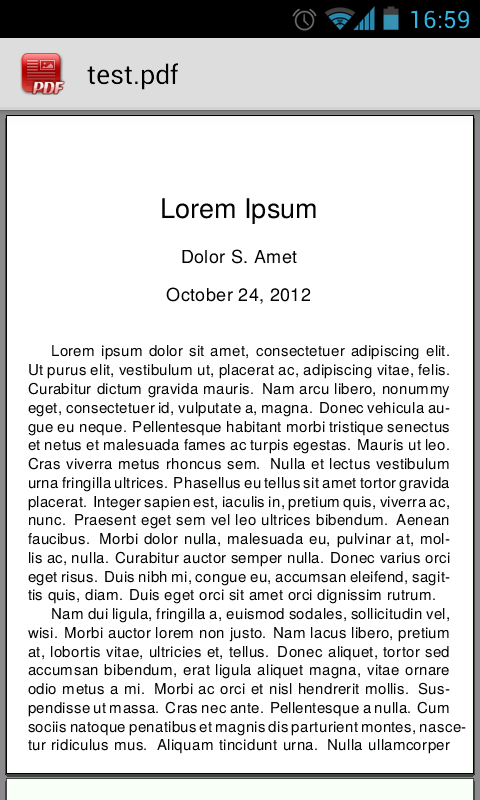 With the geometry package you can either specify the page size manually, or use a6paper which is readable on a phone. It's also a good idea to modify the margins, you don't need page numbers so they can be quite small. Another idea is to change the typeface to one more fit for screens. This is still small, but a lot better than a4. The eyesight of your student is probably good enough to read this with ease from any reasonable distance. 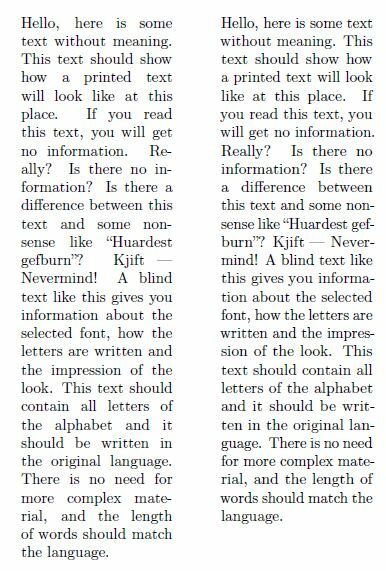 Either making the paper even smaller or increasing the font size can increase the readability of your text. PDF isn't really a good format for reading on mobile devices, since they have varying screen sizes and PDF has completely fixed formatting. The best solution is probably to provide an e-book in EPUB format. EPUB is designed for reflowable content, meaning that an EPUB reader can optimize text for a particular display device. Pandoc is in most Linux repos, or you can get the package (for Windows, Mac or Linux) from the Pandoc website. Then your students can read it with something like Aldiko (Android) or iBooks (iOS). These are the options for the geometry package that I ended up with. In effect I was varying the page size to get the right font size (since most PDF viewers will scale the page to fit the screen this is a cheap way to change font size). A problem I run into is maths running into the margin and thus off the page. Commutative diagrams are ... unsalvageable. I like writing in Markdown but would like to convert Markdown to PDF. I use Pandoc for that. 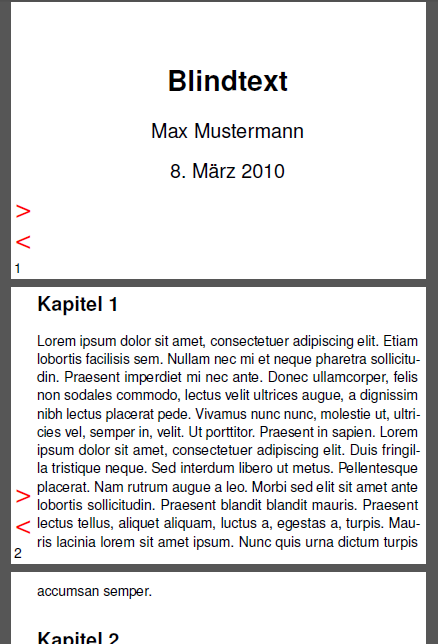 So I created a Pandoc LaTeX template that uses Uwe Ziegenhagen's template from the above answer in order to be able to create mobile size PDFs. Then the .tex file can be converted to PDF using, for example, TeXworks. Edit (December 2012): Just a small note on the improved potential for pdf on phones, Acrobat Reader has recently been greatly enhanced for Android playstore, and apparently for iPhone as well. Acrobat Reader for Mobile. Not the answer you're looking for? Browse other questions tagged paper-size or ask your own question. How to make the size of PDF output wider? LaTeX - how do I force PDF page height/width? a5paper b5paper with report class in pdf by pdflatex?